If you thought you’d hit 50 and just cruise right into retirement, those first few post-menopausal years can be a rude awakening. Between hormonal changes, added stress, and fatigue, your body has had it up to here with aging – and your hair’s no exception. We’re not just talking about all that gray – which can look perfectly chic, thank you very much. We mean the thinning, coarse, and dry hair you do battle with on the daily. Once you hit the big 5-0, it’s more important than ever to stock up on hair-healthy fruits, veggies, and proteins to strengthen those follicles. You can also add a hair supplement designed to fill in the gaps left by your regular diet. That means it’s time to stock up on fish, avocados, and all the broccoli you can handle. And don’t forget to add lean protein to your cart! Protein is one of the most important building blocks of keratin, which helps your hair and nails grow back stronger than ever. But eating well is only the half of it. According to Bauman, stress tends to hit over-50s even harder, especially if you’re already wiped from experiencing hormone-overload. Shedding up to 100 strands a day is perfectly normal, but it you’re losing more than that – or you notice bald spots – stress could be the tipping point. So if you’re looking for an excuse to kick back, relax, and treat yourself like a queen – you’ve got it. Your health – and your hair – deserve it. Thanks to all those swirling hormones, not to mention the rapid slowing of hair growth, your locks won’t recover from damage as quickly as they once did, says dermatologist Heather Woolery-Lloyd. “When hair breaks faster than the rate it grows, you don’t have any length and that leads to thinning,” Woolery-Lloyd explained to Huffington Post. And the hair that does grow back? Well, it’s not as elastic as it once was, either – meaning it’s prone to even more breakage. “It’s true that as you age, your hair also loses some of its elasticity causing it to become brittle,” dermatologist Jeffrey Benabio told HuffPo. The years after 50 tend to be a time when many women self-consciously double down on their efforts to change their hair and recapture their youth – which is precisely part of the problem. “As hair ages, we tend to torture it more, which makes matters worse,” Bauman confirmed at The New York Times. Just think about all the times you used a curling iron to bend your hair to your will, or how often you’ve headed to the salon to erase your gray! By easing off the heat, nixing the chemical treatments, or letting your gray shine through, your hair will have an easier time bouncing back. 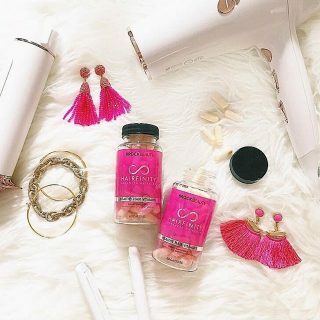 You can also use hair products like Hairfinity’s Advanced Hair Care which has been proven to reduce breakage by up to 95%. So you could be forgiven for thinking that producing less oil is a side benefit of getting older – but you’d be wrong about one thing: a dry, itchy scalp does nobody any favors. As you age, the oil glands on your scalp begin to shrink, producing less oil over time. That means the natural oils from your scalp that work to hydrate your hair aren’t working so hot by the time you hit 50. With some preventative care, you can avoid a dry scalp and coarse hair, too – all it takes is a little oil. 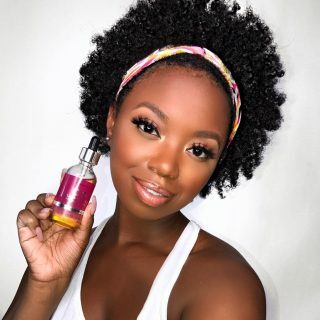 “Naturally occurring oils (like argan and coconut) have been proven time and again to add shine, strength, and moisture to brittle hair, thanks to a high concentration of fatty acids that help penetrate the strand’s shaft and repair hair from the inside out,” explains health and beauty writer Nina Elias. Beef up your shower routine with a natural oil hair mask to strengthen, repair, and hydrate. Most experts suggest lathering up with a mask at least once a week. And if an over-the-counter fix doesn’t appeal, there are plenty of DIY treatments to try, too. Other experts suggest limiting your time in the shower or making the switch to dry shampoo to encourage the natural oils you do have to stick around. Finally, says stylist Nick Arrojo, consider investing in a new hairbrush to encourage the natural oils in your scalp to moisturize the rest of your hair. Opting for a boar bristle brush will “make styling easier and promote shine and smoothness – benefits almost everyone wants,” Arrojo told Prevention. Learn more about the importance of boar bristle brushes here – and you’ll cash in on those shiny hair benefits in no time flat. 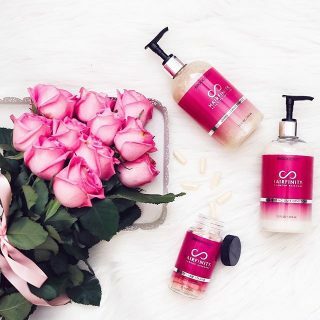 While you’re thinking about making changes, there are two more elements of your beauty routine where small tweaks can help your hair feel stronger and more luxurious. First, ditch that old conditioner and opt for a luxe conditioning treatment with super-powered vitamins. “Three ingredients to look for: hydrolyzed keratin, which can provide the hair with strength and vitality, as well as moisturizing olive oil and shea butter,” stylist Arrojo told Prevention. Remember: keratin = protein for your hair, while olive oil and shea butter will lock in moisture for sapped locks, benefiting a dry scalp, too. 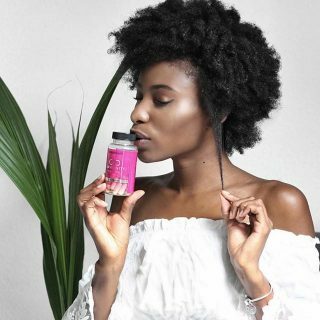 And if changing your diet or upgrading your conditioner doesn’t give you the oomph you need, we recommend taking biotin or silica supplements for stronger, healthier hair. 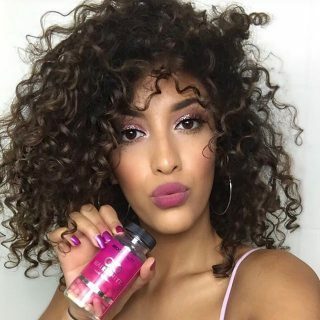 “Those with biotin deficiencies have dry, brittle hair and when you supplement them with biotin, their hair returns to normal,” Woolery-Lloyd explained to Huffington Post. 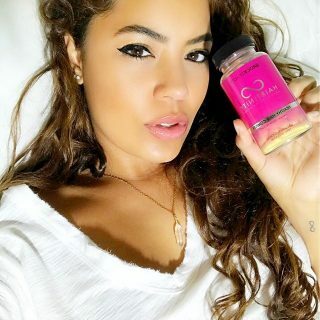 “Silica helps to strengthen collagen – research is weaker on this but it helps strengthen your existing hair,” she added. As with all super-charged vitamin treatments, check with your doctor before taking supplements. And remember to be patient. It can take up to six months before you start to see changes in your hair – but if over-50s are experts in anything, it’s the virtues of taking your time. While there are some things we love about getting older – say, not caring a whit about what other people think, or finally nabbing our AARP discount – coarse, thinning hair is not one of them. Whether you’ve been noticing an uptick in the number of hairs circling your shower drain or wondering why all the moisture’s been sucked out of your locks, getting older means changing the way you take care of your hair – grays and all! As frustrating as this cycle might be, all it really takes to improve your tresses is a little TLC. Think luxurious natural oil masks, fortified conditioners, and supplements to help give your hair a bit of a boost. We might not be able to turn back the clock, but we can sure as heck help your hair look amazing in 2017 – no matter how old you are.